Let’s go for a little home studio setup and tour. 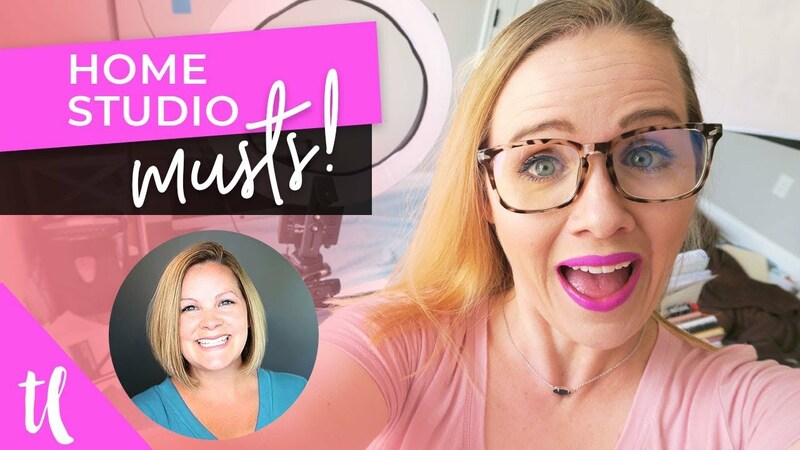 Be sure to watch my home studio setup on Trena’s channel or click the play button below! My office and home studio is in a spare bedroom in my house, and it’s really small. I’m not complaining because at my last house, all I had was the corner of the living room! One of the things that I kinda forced myself to figure out in here was a way that I could keep my gear all set up all the time, without it being out in the middle of the room. So I tried some different configurations, and this seems to work really well for me. My desk is almost up against the wall, but not quite. There is just enough room for one Cowboy Studio light, my mic stand, and my camera tripod. The other light kinda lives off in another corner when I’m not using it. When I am using it, I put it right here on the right-hand side of my desk. 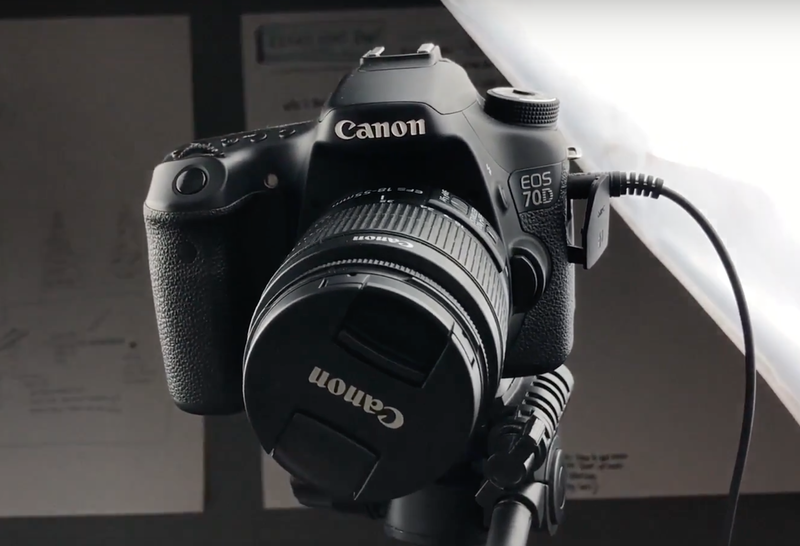 So when I record a video, my notes are right in front of me on my computer, I can use the Canon software on my computer to frame everything up and check my exposure and stuff, and sitting at my desk talking to the camera just feels comfortable and easy to me. I do have this window which is great for natural light, but I prefer to utilize the umbrella lights so I have a little more control over everything. Because when the sun moves in and out of the clouds, things start to look a little weird. As far as my current gear setup, I have these 2 umbrella lights from cowboy studio. I actually ordered softbox lights but they sent me these… They are shaped like an umbrella but they aren’t umbrella lights, I don’t think. I also have daylight bulbs in my recessed lights in here but I don’t usually have them on. 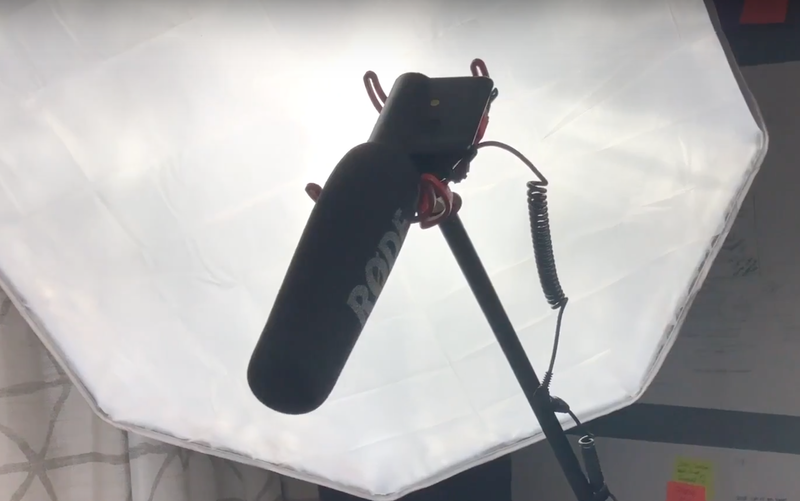 For my audio, I use a Rode VideoMic that’s actually designed to attach to the camera, but I put it on a microphone stand so that I can be more flexible with it. If I want to shoot with my camera further away, I could do that. 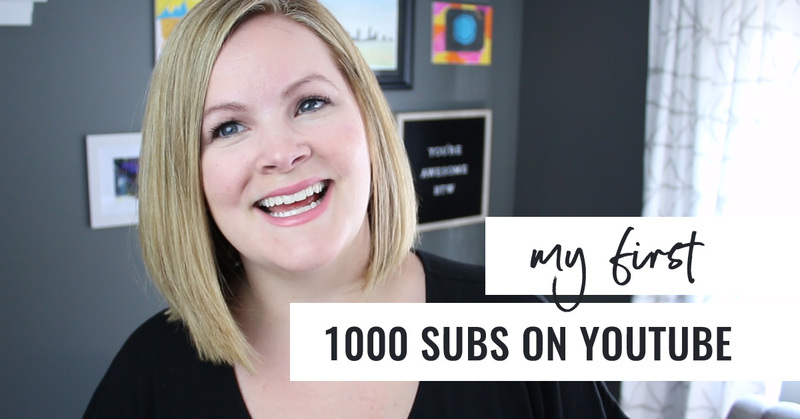 By the way, I have all this gear listed out on my Amazon Influencer page at vidpromom.com/gear! My camera is a Canon 70D DSLR camera. It’s a really nice “prosumer” level camera, I think it was about a thousand dollars when I bought it new. The newer model of this is the 80D. It takes fantastic still photos and video. I use the regular kit lens, nothing fancy there. This is a regular 18-55 auto-focus lens that comes with most DSLR cameras. When I do screencasts and tutorials I use an AudioTechnica ATR2100 podcasting mic. I’ve been using this combination of gear for about 4 months. Prior to that, I used a Diva ring light with all this same gear for over a year. 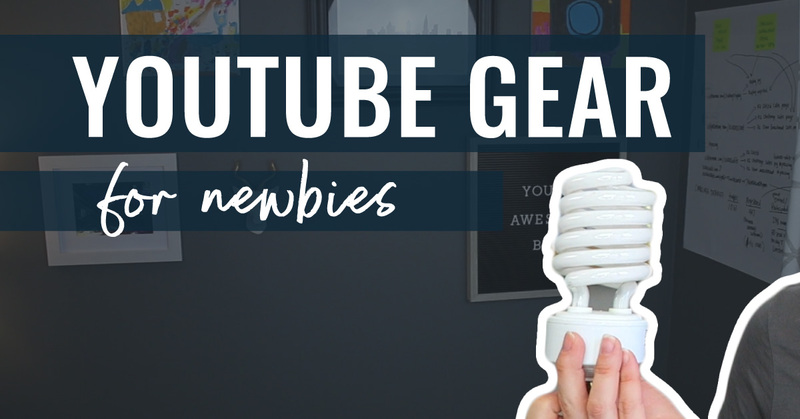 On the Video Pursuit Podcast I actually have an episode on the evolution of my YouTube gear, what I first started with, how and when I upgraded, what worked, what didn’t, and what’s on my wishlist for upgrading in the future. If you’re into that you can catch it at vidpromom.com/podcast. So that’s how I record my YouTube videos and my current gear setup. Thanks again Trena for having me on!